MONTEZUMA — Former Marion Local teacher, coach and athletic director Stan Wilker died Monday at age 69. Wilker had coached at Bradford (1972-73) before beginning his tenure at Marion Local where he began coaching in 1973 and then became athletic director in 1979. His last year working full-time with the Marion Local athletic program was 2009. 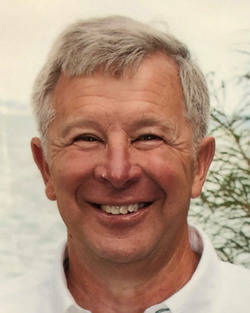 The Montezuma resident was inducted into the Ohio Interscholastic Athletic Administrators Association Hall of Fame and was also involved in the Lake Improvement Association. Friends may call from 2 p.m. to 8 p.m. Thursday and 9 a.m. to 10 a.m. Friday at the Hogenkamp Funeral Home in St. Henry. A Mass of Christian Burial will be held at 10:30 a.m. Friday at Our Lady of Guadalupe Catholic Church in Montezuma. This entry was tagged marionlocal. Bookmark the permalink.